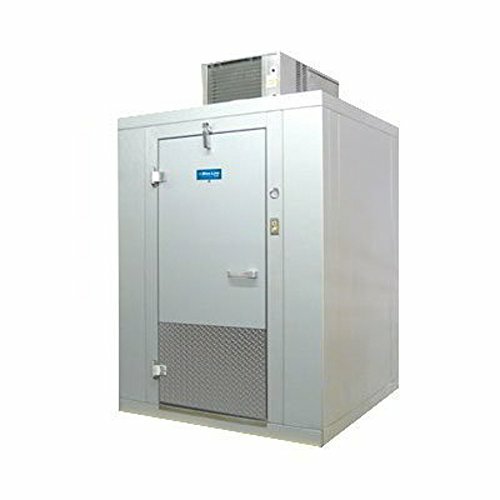 Walk-In Freezer, Indoor, 7' 8-1/2"H x 7' 10"W x 7' 10"L, (-10° F holding), with floor, coated acrylume interior and exterior cam lock panels, hi density foam insulated walls and ceiling, smooth finish aluminum floor, key lock handle, dial thermometer, light switch, inside safety release, door heater, pressure relief valve, interior and exterior 24" high diamond kick plates, self-contained refrigeration, NSF, UL, EISA. 1 year parts and labor warranty, 5 year compressor warranty, 15 year panel warranty, standard. If you have any questions about this product by Arctic Industries, contact us by completing and submitting the form below. If you are looking for a specif part number, please include it with your message.